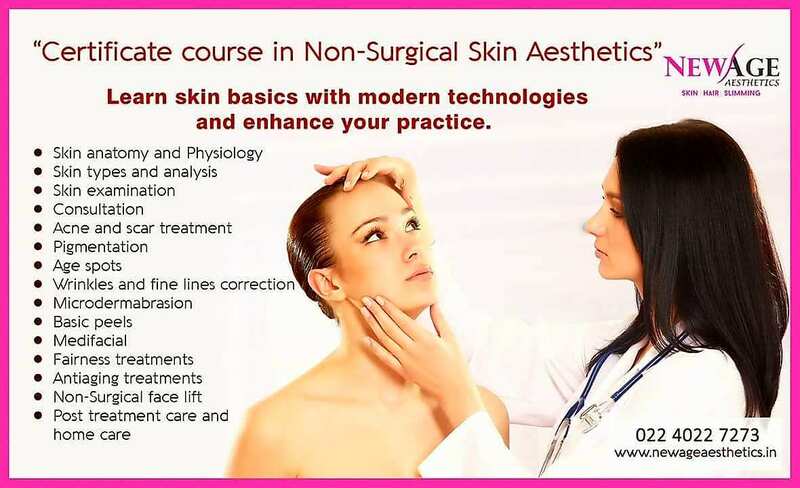 Sarter skin aesthetics or clinical cosmetology course for individuals or doctors who are new to the cosmetic field and want to start their beauty clinic/cosmetic clinic or salon or those who wish to upgrade their clinic or salon. NewAge skin aesthetics courses reders complete consultancy to students for opening and running their cosmetic clinic. Brand teaching methods are designed to meet up the rapidly growing beauty and wellness industry. Our highly qualified and experienced tutors provide ultimate education for the clinical cosmetic course offered. Our coyrse is technically specific and practical with hands on training. Unlike others we specialize in a tailor made course in case if you have any specific need and requirement. Nestled with private training facility we ensure that our courses are highly relevant and applicable to the industry. We aim to provide students a valuable head start in the industry. We welcome you with an assurance of finest technical learning and experience like never before!